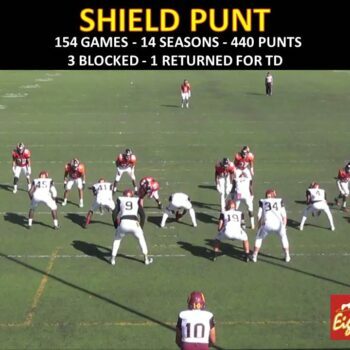 The Shield Punt Manual comes emailed to you immediately after payment. 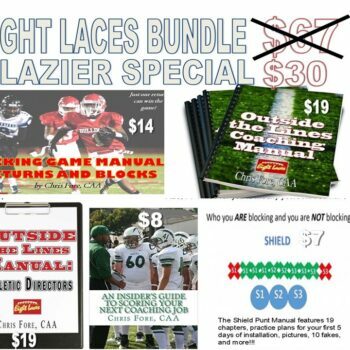 It features 19 chapters, practice plans for your first 5 days of installation, 28 instruction videos (30-65 seconds each), power point slides, pictures, 10 fakes, and much more!!! WE WILL BE GOING DARK DURING SPRING BREAK, MARCH 24-31. ALL ORDERS PLACED WILL BE SHIPPED OUT OR FOLLOWED UP WITH (RESUMES/COVER LETTERS) ON APRIL 1.